Your company is now the product and investors are the customers. If your company has no revenues, then no valuation models can be applied, and your company can be now be worth anything. At least on paper. This fact is critical to some investors for the purposes of follow-on rounds of investment. Investors need BIG wins due to their new portfolio structures and investment strategies. To win big, you need scale. In order to scale at significant levels, with the hopes you can monetize users later, significant capital is needed. Your company, being the product, must be shopped around to later stage investors with the available capital at inflated valuations. Each investment in a company like this is the equivalent of a binary option – your company will be worth a lot or nothing. Unfortunately you don’t hear about the “nothings”. Less than 1% of entrepreneurs are successful without focusing on revenues. This article is for the other 99%+. What is revenue? What is a revenue model? Revenue is the income you generate from sales. It is the equivalent of obtaining small investments without having to offer up equity in your company. It is one of the only sustainable forms of cash generation, and it is on this topic we will focus. A revenue model is a structure for how your company earns the previously mentioned income. It is the way one monetizes their business’ product or service. Many use the terms revenue model and business model synonymously, but do so incorrectly. A business model is the framework for an entire business of which the revenue model is solely a component – the cash generation component. There are seven primary revenue model types, each with their own subset of variations: Commerce, Subscription, Advertising, Commission, Licensing, Processing, and By-products. 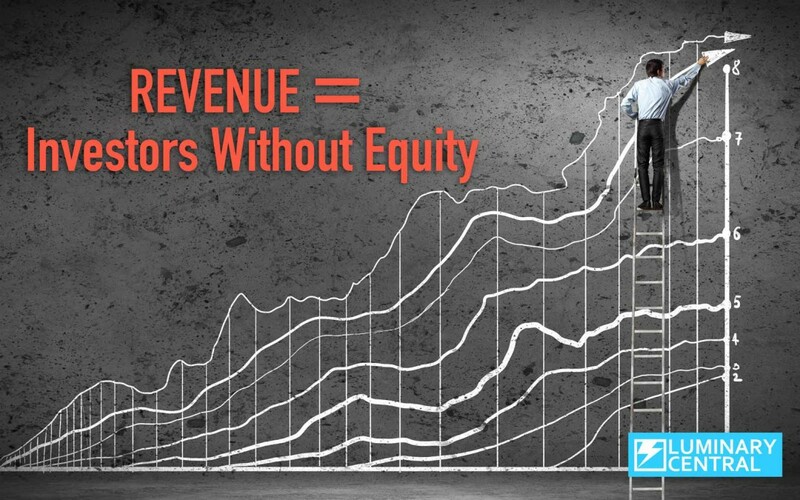 It is widely agreed that incorporating multiple revenue models not only diversifies your income, but also increases your profitability and investability. The commerce model is the most widely observable revenue model. It is the one-time exchange of currency for goods or services. This includes both retailing and wholesaling your product/service. The key to this revenue model is managing your margins, the cost to provide your product/service vs. the price charged, as these are one-off transactions. Eg. Company sells a product at a set price. Companies that use this model: Zappos, Warby Parker, and Walmart. Subscription models charge customers at regular intervals (eg. monthly) for the right to use your service/product. This recurring revenue model is highly sought after by investors and acquirers due to its highly predictable nature. This model has historically resulted in a premium being applied to business valuations. Eg. Company sells a service that requires monthly payment to remain active. Companies that use this model: Salesforce, Netflix, and Comcast. Advertising revenue models have been around for many years, but have shifted from primarily offline to online advertising recently. It is typically associated with service-based companies where their offering is free to use while other businesses pay to reach users via advertising. The service’s users are the general public while the payers are advertisers. Eg. A company will allow users to use their product for free in return for the users viewing advertisements. Advertisers will pay the company for this exposure. Companies that use this model: Pandora, CNN, and Facebook. Commission revenue models have also existed for a while, and have evolved with the advances in technology. A company generates revenue when two third-parties engage in a transaction. This is typically a very low cost model to generate revenue resulting in significant margins. In recent years variations of this model have been referred to as an Affiliate model. Eg. A crowd-funding site will allow one party to list a product and multiple other parties to pay for the future delivery of a product. The crowd funding site charges a percentage of funds collected. Companies that use this model: Craigslist, Kickstarter, and RE/MAX. The licensing model is a relatively complex revenue model. A company will allow its copyrighted or patented product/service/brand to be used by another party for a fee. Various brand licensing models can result in no significant costs of revenues resulting in maximized margins. Eg. A company with a patent allows other entities to build products that infringe on the patent for an agreed upon fee. Companies that use this model: Miami Heat, Nike, and Microsoft. The processing model has similarities to the commission model but is differentiated by the company servicing only part of a transaction. While a third party can broker the deal a company can process one aspect of the transaction for a fee. This model relies on volume of transactions to be scalable. Eg. A company processes the payment for a transaction between two independent parties and charges a fee for the service. Companies that use this model: Square, American Express, and E*TRADE. This revenue model is one of the highest profit yielding models. It is a no cost by-product of a company’s main product that they can market to another category of customers. This additional revenue typically goes straight to the bottom line and is highly sought after. Eg. A credit card company’s main revenue is from transaction fees. The data collected from these numerous transactions is then sold to another party seeking consumer insight. Companies that use this model: Facebook, BP, and CVS. By focusing on implementing various revenue models and seeking to maximize their effectiveness, you will increase the odds of operating a successful and self-sustaining company. You can attempt to be the anomaly that can succeed without revenues, similar to playing the lottery, or can increase your odds by generating revenues. Some of the side effects of generating and growing revenues include: a decreased reliance on outside funding, reduction of equity dilution, and an increasing valuation. It ultimately strengthens your ability to dictate the terms of any potential future investment, and/or avail you of less costly alternative financing sources. Play the lottery or build a business.